If you love the excitement of the big screen, enjoy the latest blockbuster releases or maybe mind expanding foreign films that puzzle and amaze, the Social Circle Film Night is 4u! Please check out our calendar for other great events. Be part of something bigger and expand your Social Circle here. Membership is paid for with just 2 events, cinema and a fitness class. Its a no brainer! This is a great event to meet new people and try new things in a friendly and relaxed environment. 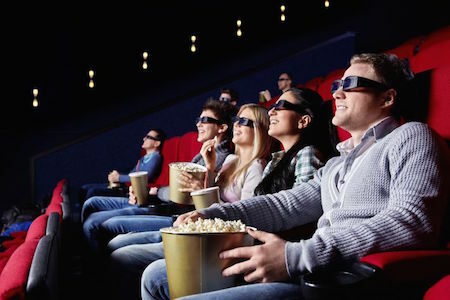 Be the first to see the latest movies with a warm friendly welcome from like-minded-people. Here at Social Circle, we make it our job to expose you to the latest and best films for FREE, connecting you to the latest tends and putting you were you want to be. Terrorist plotters launch a deadly attack on the capital in this thrilling sequel to Olympus Has Fallen. Following the mysterious death of the British Prime Minister, heads of state gather in London for the funeral. This is all part of a plan by evildoers to take out world leaders. But they reckon without the US president (Aaron Eckhart), Secret Service agent Mike Banning (Gerard Butler) and a very determined MI6 agent (Charlotte Riley). Free cinema trips are why I joined Social Circle - I do loads more since joining, but still get to the cinema each week - thanks! Please share and help us spread the word. To post in the forum, you either need to be logged to this site in as a Social Circle member, or as a forum member. Not A Social Circle Member Yet? No problem, click here to sign up for free forum membership (or log in if you have already signed up). There are no forum posts for this event yet - be the first!